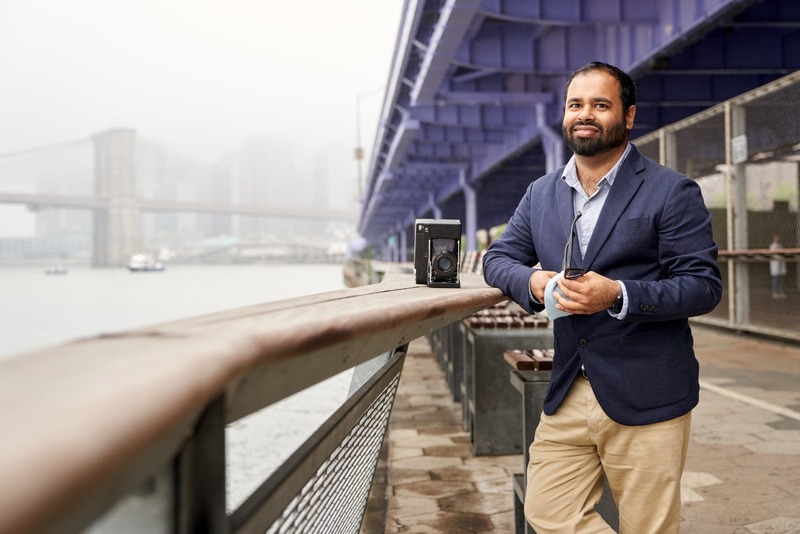 When we talked with Fujifilm earlier this year about the state of their film industry, they talked about heavy emphasis on their Instax sales and marketing. 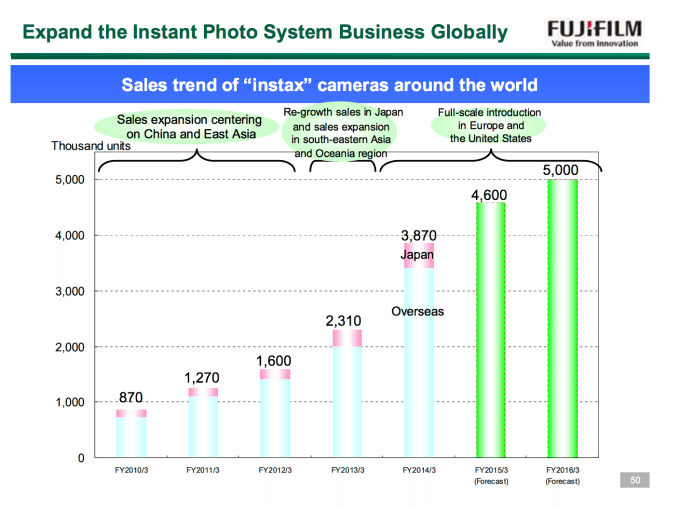 And according to a new PDF on Fujifilm Holdings, the growth has been bigger than anyone can possibly imagine. Granted, what we see above in Green are projected numbers, but they’re still quite substantial. Combine this with how the growth has happened over the past years, and the data is even more amazing. According to the document, Fujifilm’s core sales strategy is to market many of its most popular cameras to young women and teens. However, there are still segments geared towards smartphone users, families and adults. Interestingly, the Instax Wide film is more for families and the Mini 90 is for the adults–or at least they are according to Fujifilm’s data. Indeed though, the information on the target markets seem to check out. Walk into any Lomography store or go to any artist party these days and you’ll find young women taking up Instax cameras. Of course, what many of us “adults” would like much more would be more manual control in terms of shutter speeds, apertures, etc. You can do this a bit with a Diana F+ and an instant film back; but sometimes it isn’t enough. Something else that we’re still not quite sure of is why Fujifilm still doesn’t offer a black and white Instax film–and instead only offers color. Perhaps it has something to do with the trend with the company’s peel apart film. Not long ago, Fujifilm discontinued its 3000-B peel apart 3×4 film. However, the 100C film still lives on. 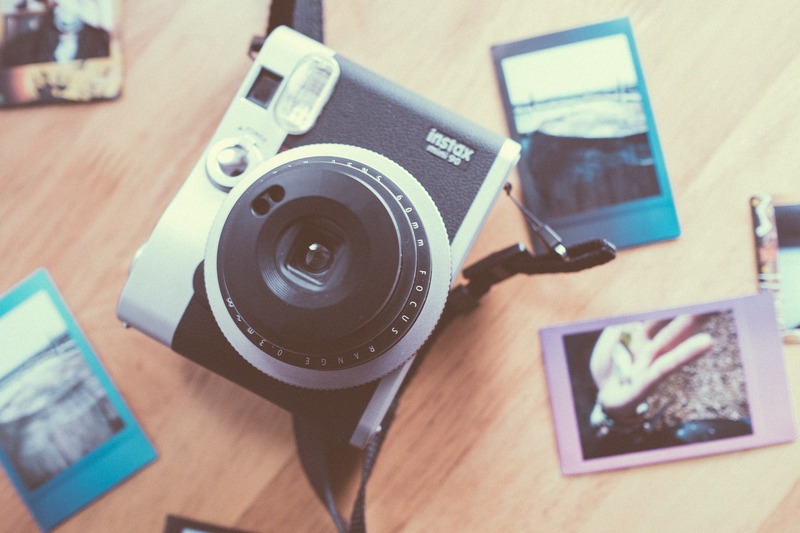 But the photographers who purchase Instax and Peel Apart are generally different customers. The Peel Apart crowd is older and more mature in their photographic tendencies. These photographers probably have freezers full of this stuff and so they don’t need anymore than what they have. Additionally, they really like the larger surface area. But that doesn’t mean that the younger generation isn’t buying lots of Instax film. Amazon’s Best Selling film item is a 5 pack of Instax film. In fact, the majority of the top 10 are Instax products with a GoPro making the #10 spot for some odd reason despite not being the film camera that they made years ago. Overall, in 2015 it’s quite amazing to see that film is still alive when it’s targeted at a different audience.